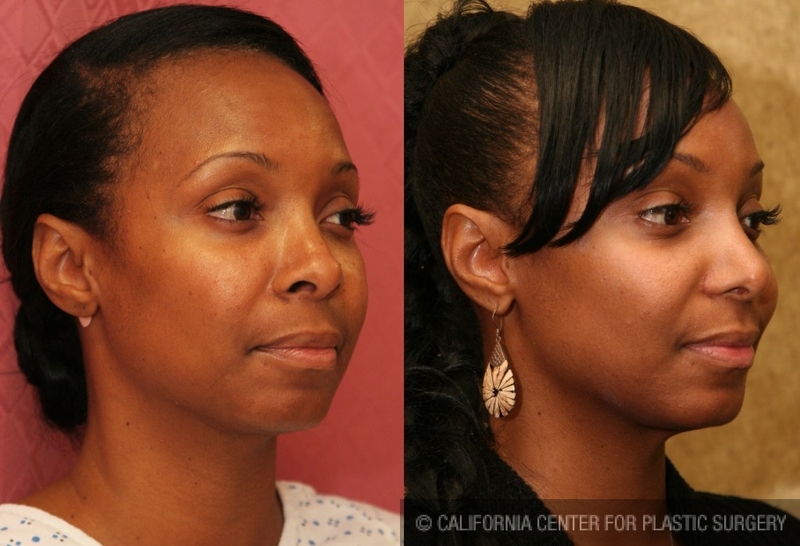 These are before and after nose surgery pictures of a 32 years old African-American woman from Los Angeles who underwent revision nose surgery by Dr. Sean Younai. According to her she was dissatisfied with the results of her initial nose surgery because her “nostrils were still too big”. 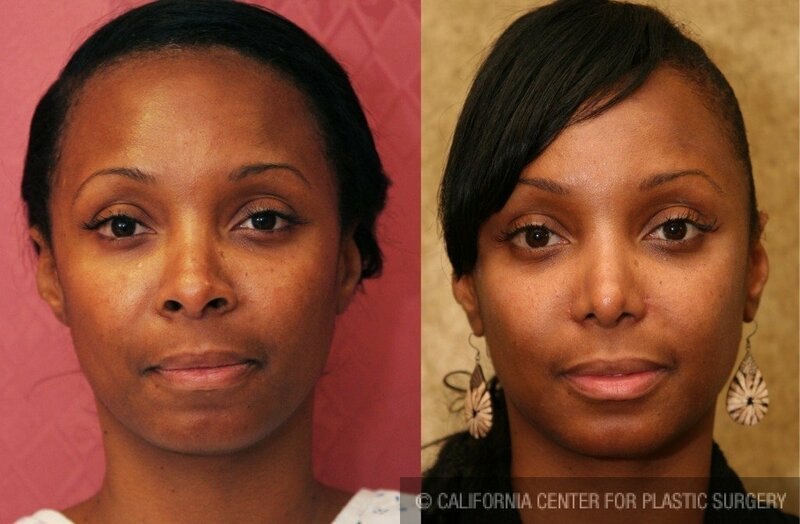 During her cosmetic surgery consultation with Dr. Sean Younai for nose surgery she said that she wanted to have smaller nostrils but still wanted to maintain her ethnic look. 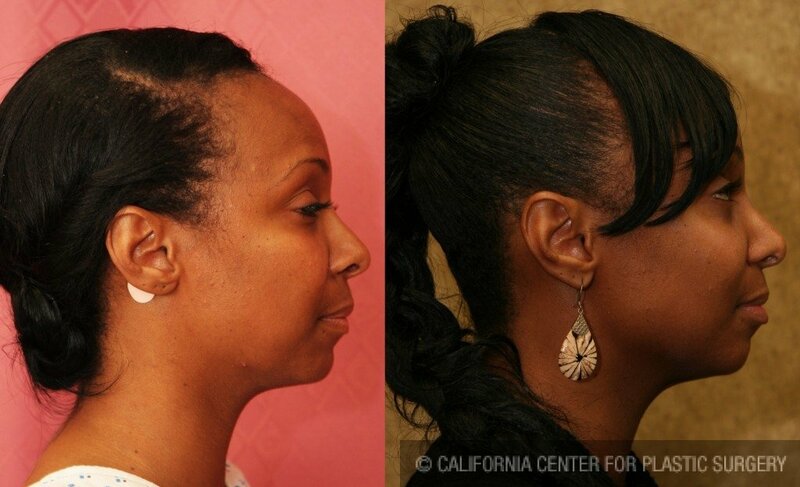 She also wanted to fix her noticeable nose scars from her previous surgery. 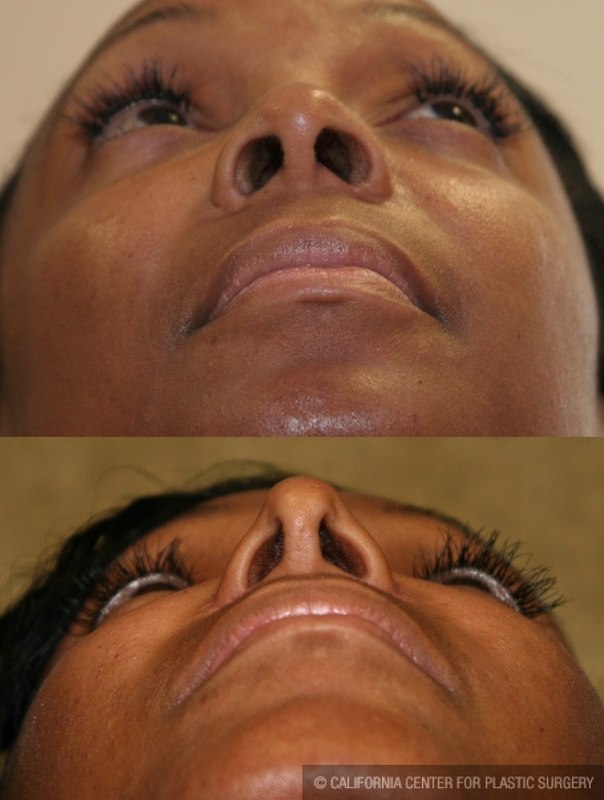 Her rhinoplasty photos were taken about two months after her revision nose job, and they show that her nostrils were reduced in size while her nasal tip was lifted. Patient’s own septal cartilage graft was used to augment her nasal tip projection. She also had a revision of her previous alar resection, with placement of her new nasal scars in the crease of her nose. 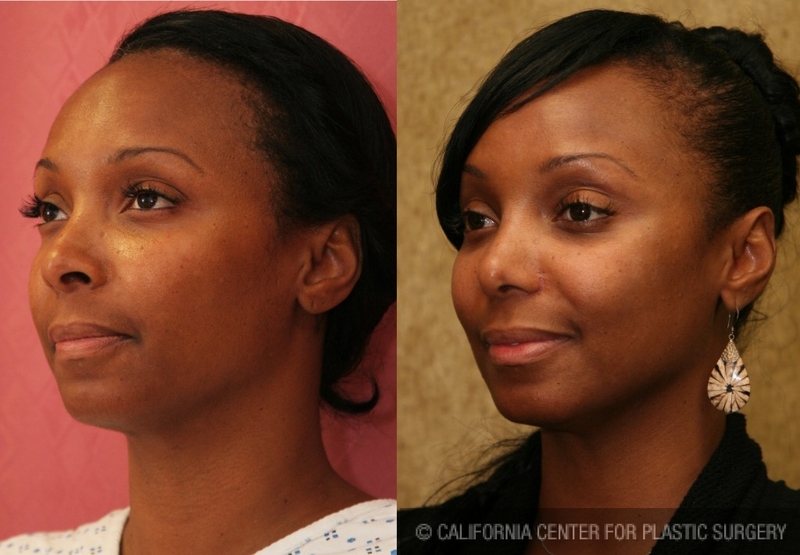 Overall she feels very pleased with the outcome of her secondary nose surgery and has recommended Dr. Younai and his staff to several of her coworkers.